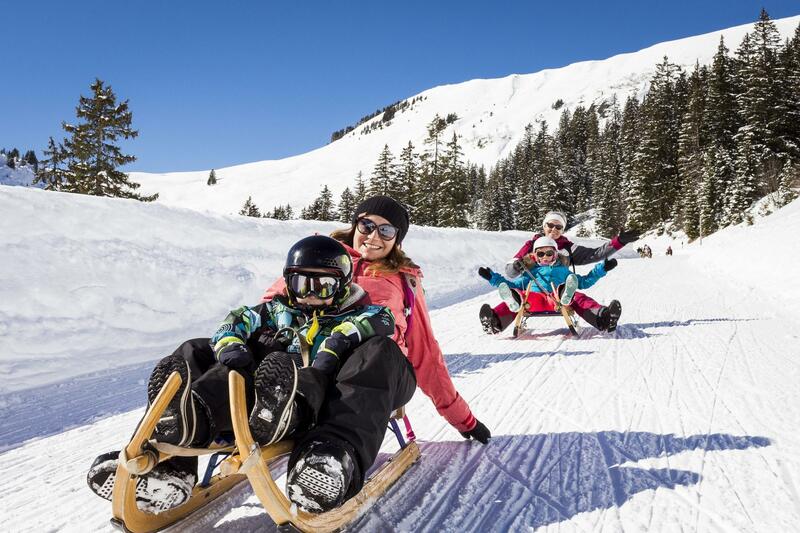 This toboggan run on the slopes of the Col de la Croix zigzags down through fields and forests to Les Diablerets, with stunning views of the mountains of the same name. One of the longest toboggan runs in Switzerland with 7.2 kilometres of fun and thrills, it’s also open at night. You get to the start of the toboggan run, one of the longest in Switzerland, by taking the “Vioz-Mazots” chairlift in the Meilleret ski area. The run is situated on the road to the Col de la Croix, which is closed in winter and prepared for tobogganing. The Restaurant des Mazots at the top is the perfect place to rally your strength before launching yourself down the run. The start of the run offers stunning views of the Les Diablerets mountain. 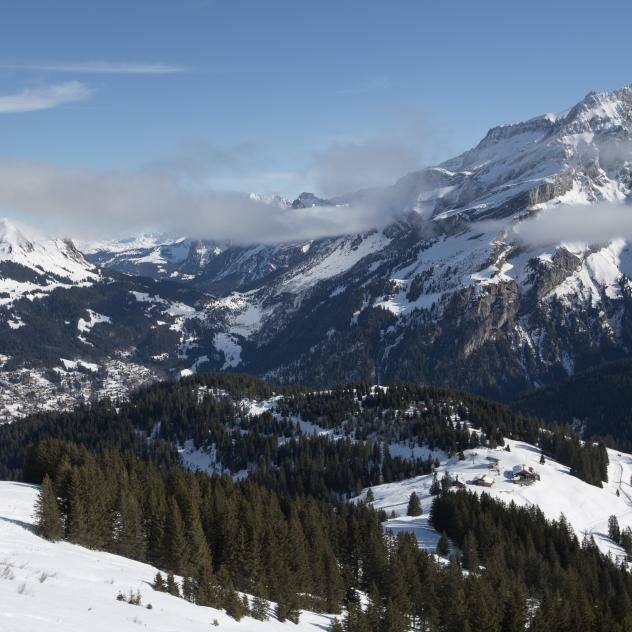 Once you’ve swooped down the first big bends, you get to the forest, keep zigzagging and suddenly the village of Les Diablerets appears before you. A last big dive and you’ll be at the bottom in Le Meillerets. Three evenings a week, the run is open at night for tobogganing with headlamps. This can be combined with a delicious cheese fondue before tackling the run. On Wednesday, Friday and Saturday evenings, the toboggan run is open. As you take the chairlift up, soak up the particular night time atmosphere and see the forest in a different light. For a complete experience, opt for the combined offer with a delicious cheese fondue at the top. Take a break between two slopes at the Buvette Les Mazots which is at the heart of the Villars-Gryon-Diablerets skiing area. It is located close to the arrival of the chairlift Vioz-Mazot.